What Does My WEIGHT Have To Do With My HEART? 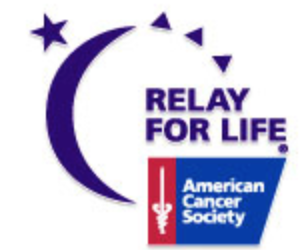 Relay For Life – But Not Pro-Life? If you’ve ever been to a local Relay For Life event, you know how heart warming it can be. My younger sister was diagnosed with breast cancer at the age of 41, and she is now 45. I think this sort of community support for cancer patients and care givers is enormously beneficial. I am 100% FOR the eradication of cancer and have attended a couple of these events in the past, but after what I’ve learned since my sister’s diagnosis, I am NOT in favor of sending money to Relay For Life, the American Cancer Society or the pharmaceutical industry in general and there are several reasons why, but I am only going to cover one here. 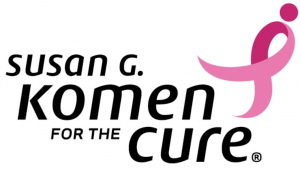 Initially I greatly admired the Susan G. Komen Foundation, because my understanding is that like me, the founder was moved to make a difference by her sister’s battle with breast cancer. However, I found out in the last year or so that both Susan G. Komen AND the American Cancer Society both give money to Planned Parenthood, the largest provider of abortions in the nation, under the guise of it being a women’s health issue. Thus the title of my post. Had I given money to help save women from breast cancer, only to find out that some of that money went to an abortion provider, I’d want it back. The fact that my money, given with the intention to help preserve a life, could’ve been used to brutally end one would be infuriating and horrifying. Founder of Freedom and Faith, Ralph Reed wrote “Planned Parenthood is currently under investigation for numerous alleged violations of the law, do not offer mammography services to women, and have failed to comply with Komen’s guidelines and metrics for grantees.” In addition, Lifeway Christian bookstores pulled all their pink Bibles back in 2011 after they discovered that $1 from the sale of each of those Bibles went to the nation’s largest abortion provider. And don’t you find it ironic, that a group called Relay For Life, would not think an unborn baby’s life just as worthwhile as a woman battling breast cancer? Is life only valuable for some, but not all? To me, this is a sinister thread, woven into a message of hope, that simply cannot be ignored. Why is it valiant for one person to fight for survival, but inconvenient for a child to be granted the same opportunity to life? In closing, I repeat, I am 100% FOR the eradication of cancer, and supporting cancer patients in a multitude of capacities. I am especially for more education on this topic about prevention, and a more holistic approach to treatment. There are many other reasons I choose personally NOT to support these institutions, there may possibly be more blog posts to address other reasons in the future. I have written another blog on some resources that explain how our diets either make us stronger in our resistance to cancer, or can make us weaker, and therefore more vulnerable to cancer. Please check out my earlier blog entitled “Holistic Cancer Resources.” And if you or someone you love has had a cancer diagnosis, know that you were DESIGNED TO HEAL, that facts can change and so can doctor reports, and that God is for you and not against you. I also know that many Christians have supported Relay For Life completely unaware of their alignment, financially and politically for Planned Parenthood. I am not attempting to lay condemnation on anyone, just to inform well-meaning folks that they might want to reconsider where they send their money. I want all of us to try to be more informed.